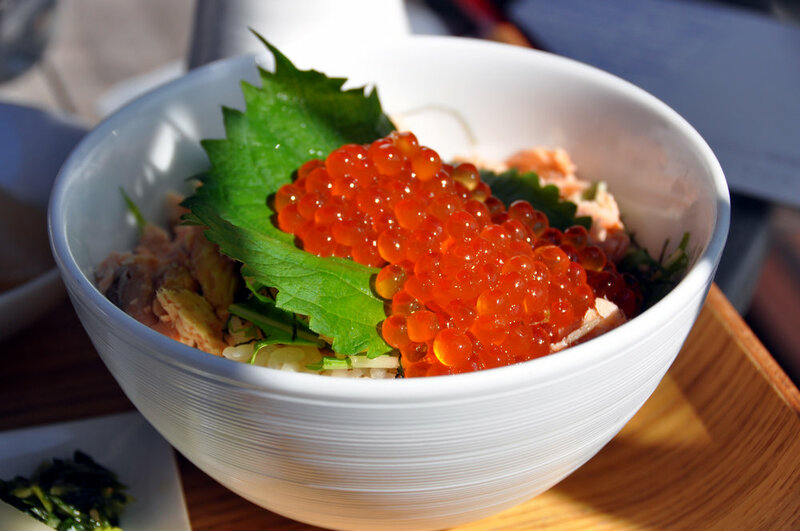 Our Alaskan chum salmon roe is vibrant golden orange color with a large grain size comparable to a pearl. There is a mild brine, firm texture, and the recognizable strong flavor of salmon is complimented by a natural sweetness on the palate. Our American White Sturgeon Caviar is farm raised and harvested in Idaho. Sturgeon are fed a natural diet and raised in pristine artesian well water resulting in rich brown-black eggs exhibiting a creamy yet clean flavor and finish with a medium grain size. 1 oz & 4.4 oz. Our Osetra Russian Sturgeon (Acipencer guldenstaedti) caviar is farm raised in Israel in pure waters from the melting snows of Mount Hermon in Israel. Brood stock of true wild Russian Osetra sturgeons are fed a natural diet of protein and plant foods resulting in a fruitful flavor with medium grain pearls, a firm texture, and a flavorful hazelnut finish. Caviar produced from each fish is hand packed separately and graded to flavor, color, taste and texture. This method assures that there are no mixtures of taste and keeps the production pure in flavor and quality. Belgian Gold LAbel Osetra 1.06 oz. ; 4.4 oz. German Osetra Supreme 1.06 oz. ; 4.4 oz. Belgian Sterlet White Pearl 1.75 oz; 4.4 oz. Belgian Gold Label Siberian 1.06 oz. ; 4.4 oz.